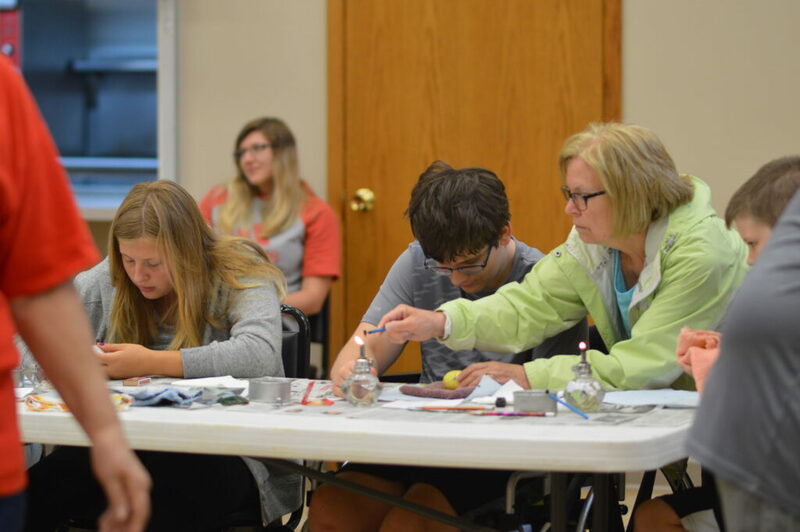 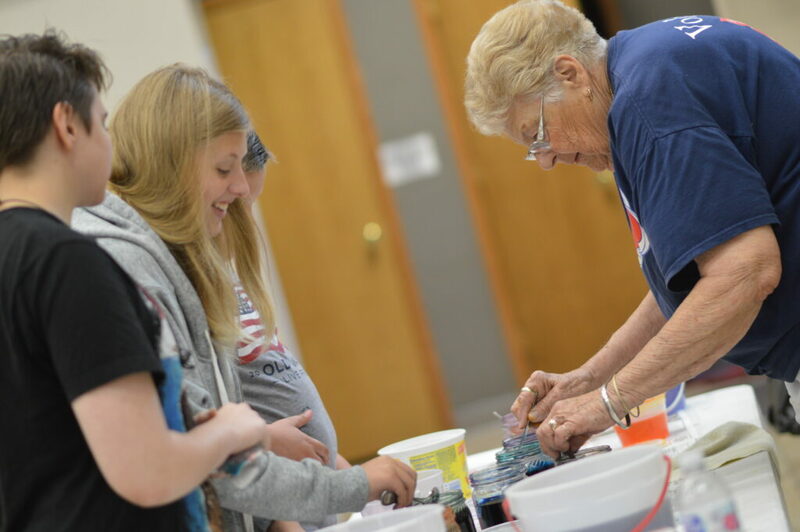 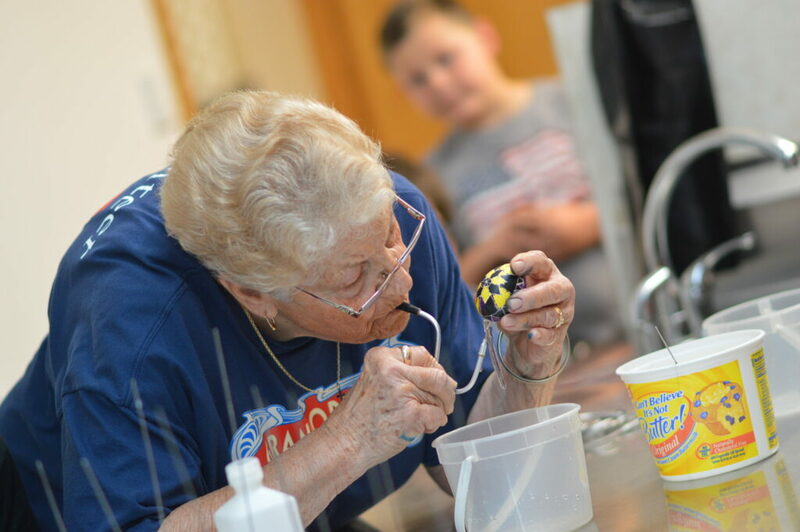 Master Czech Folk Artist, Marj Nejdl of Cedar Rapids, led the older division Czech School students through the steps of kraslice, the art of decorating eggs. 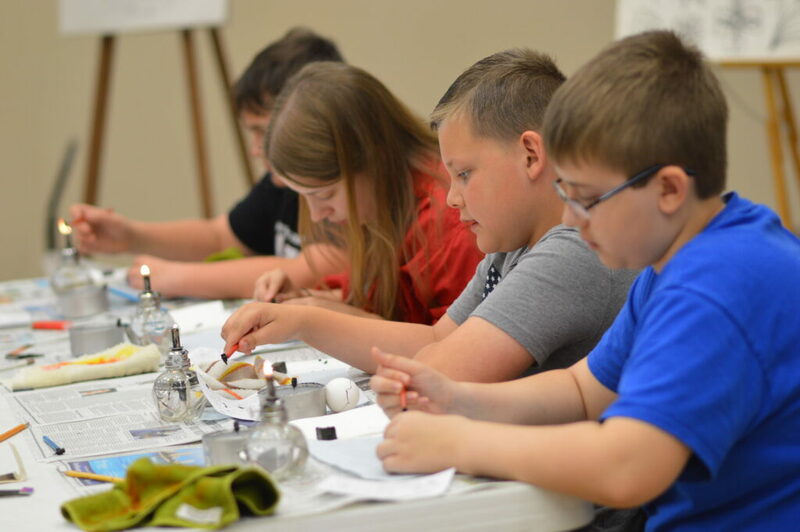 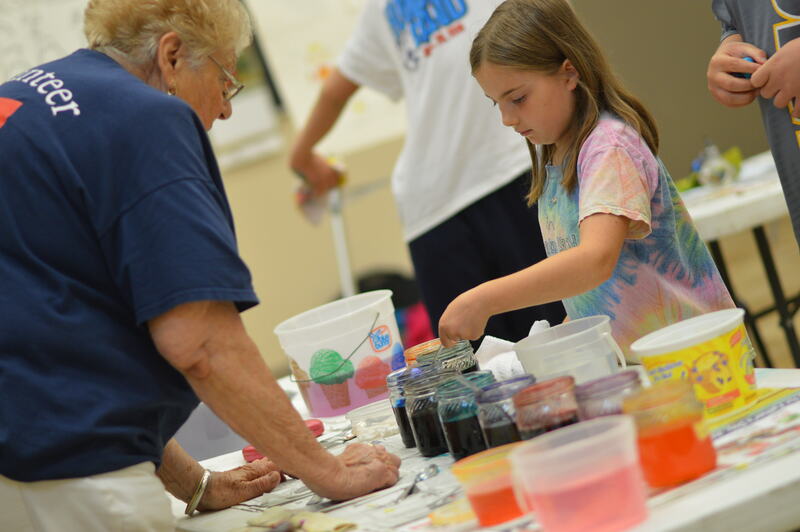 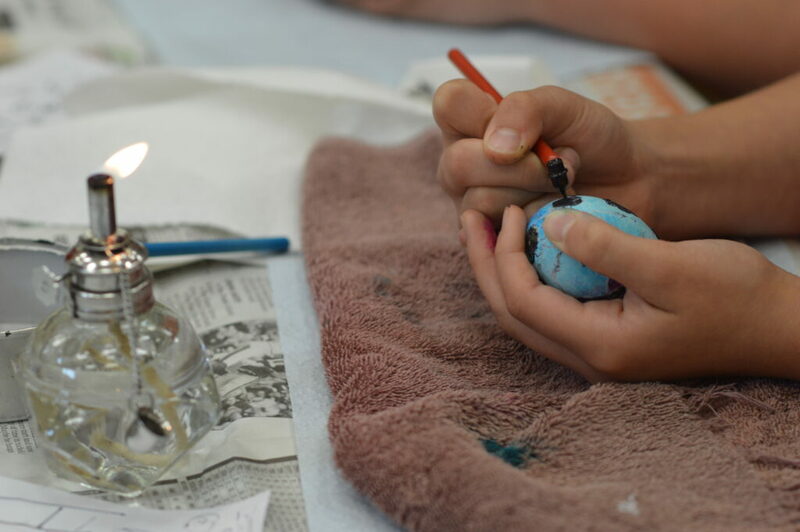 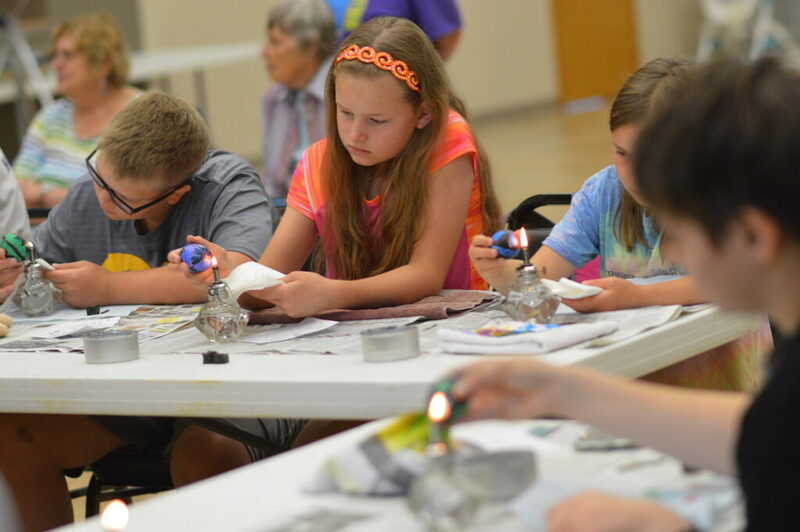 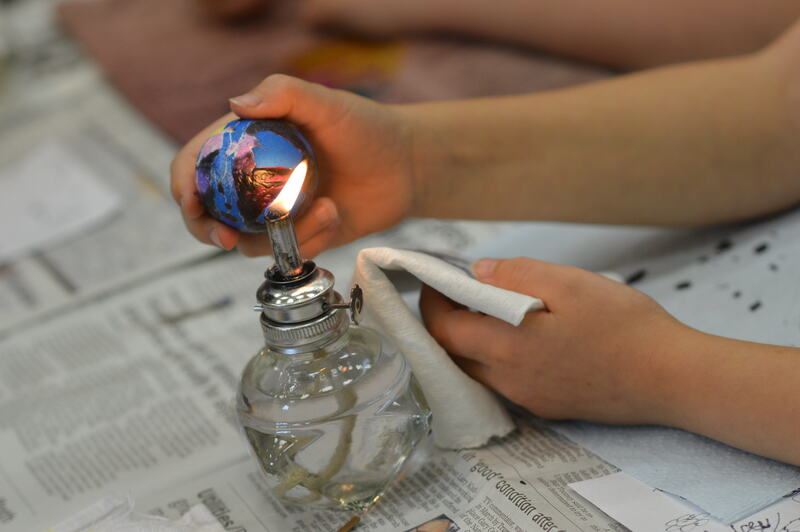 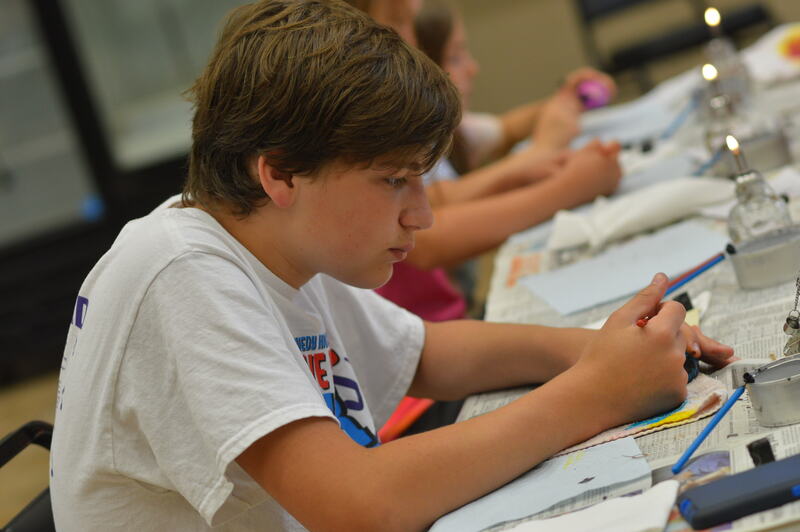 Students learned how to use wax and dye to create designs and layers of color and even how to blow the yolk out of the eggs, at the Glovik Parish Center at St. Wenceslaus Church. 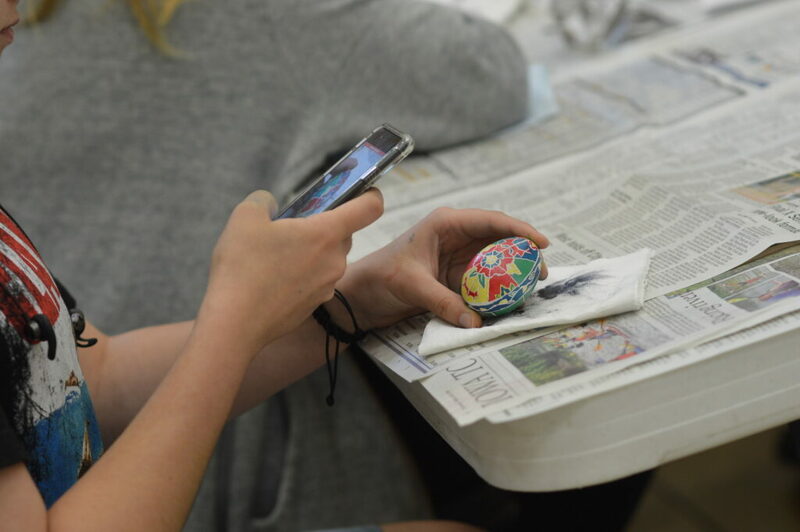 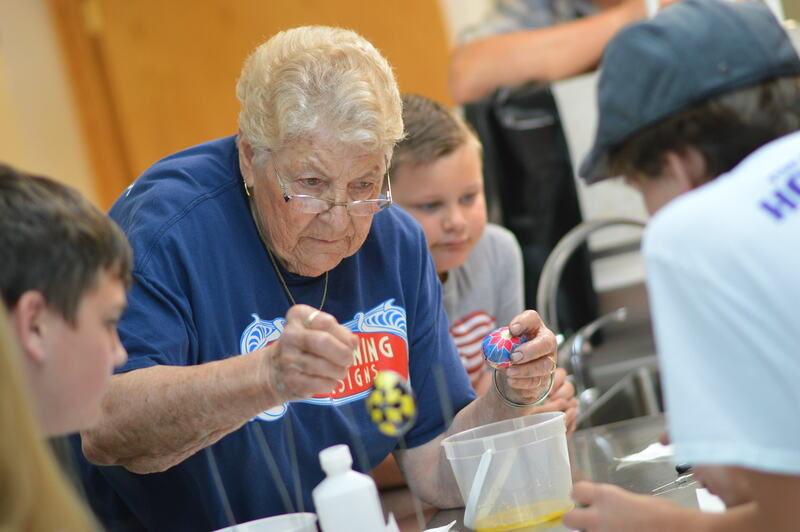 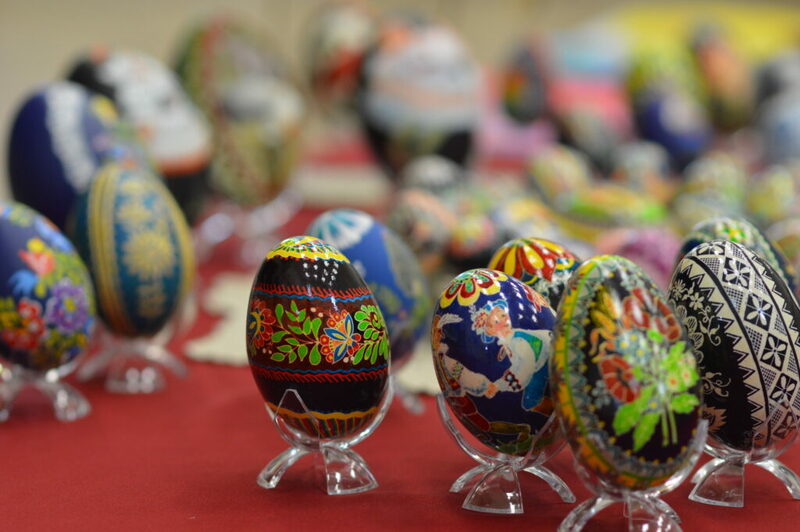 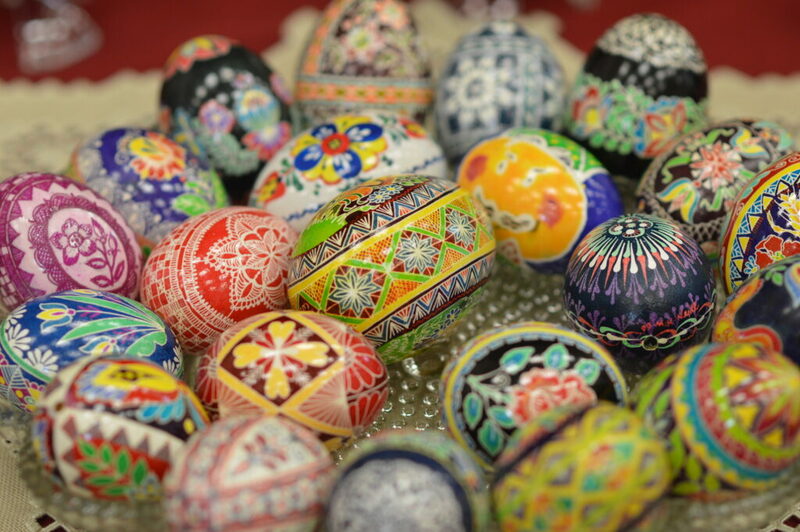 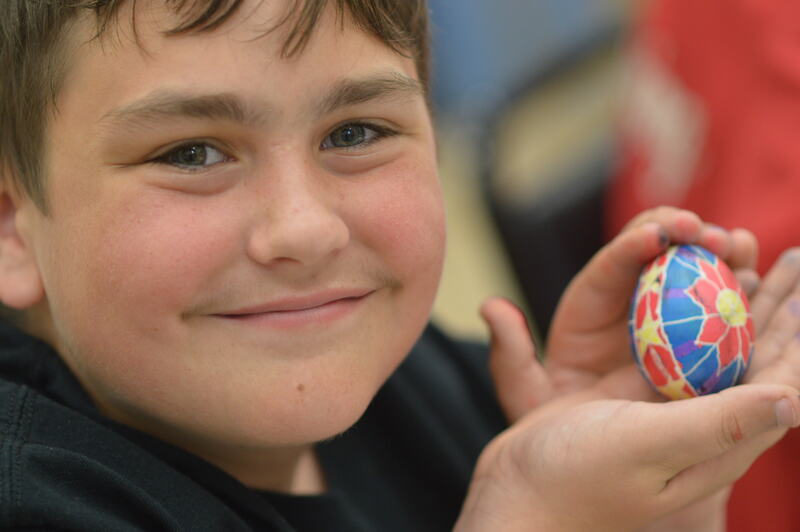 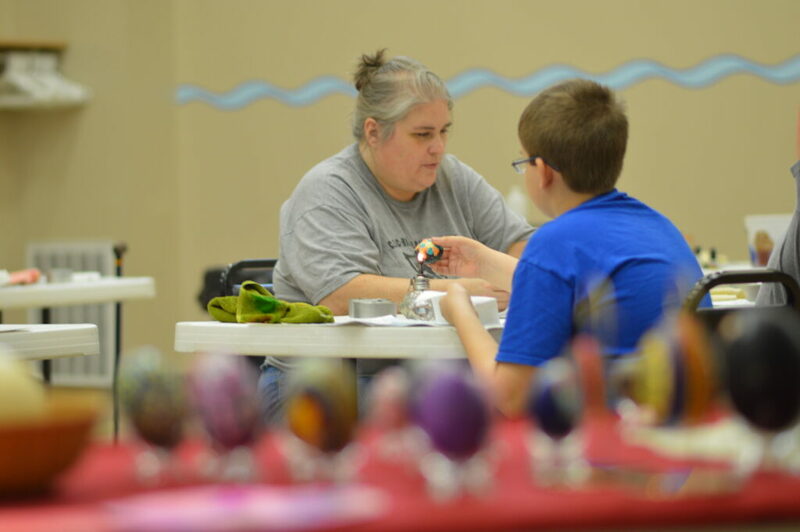 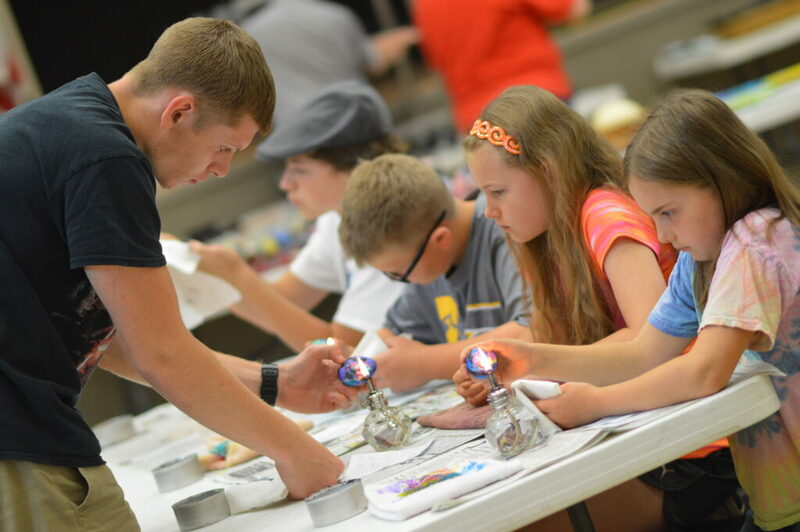 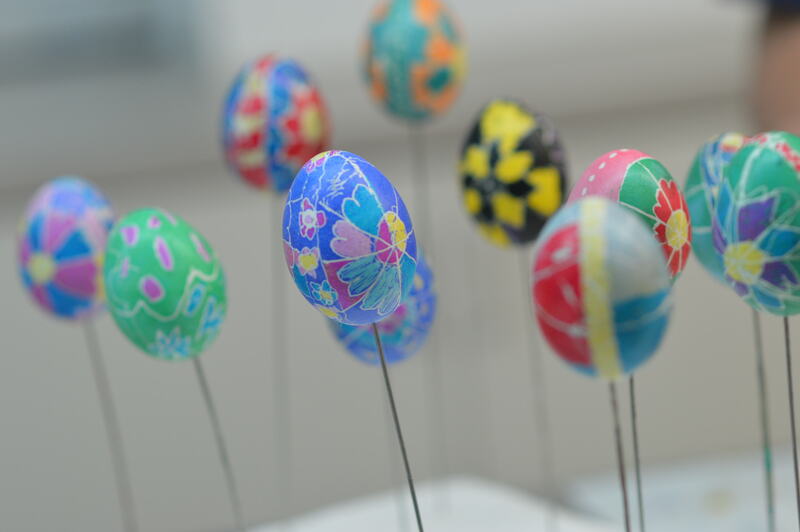 Nejdl, who learned the art from her uncle years ago, regularly teaches egg decorating classes that sell out at the National Czech & Slovak Museum & Library in Cedar Rapids.